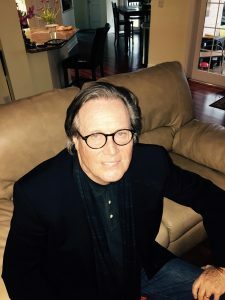 TOM HEDLEY (Executive Producer/Book) Having written the original screenplay, Hedley coined the title Flashdance to convey a complete style that merged fashion, music and dance. He wrote six produced movies and additionally penned screenplays for Michael Jackson, Barbara Streisand, Sean Penn, Jean-Paul Goude, among others. Hedley was the winner of the Humanitas Prize for the academy award winning movie Iris, starring Judy Dench and Kate Winslet. Previously he was Arts and Entertainment Editor for the Toronto Telegram, Editor of Toronto Life, Editor of the distinguished UK publishing house Duckworth and was especially known as a pioneering editor of the New Journalism at Esquire Magazine during its golden age. Hedley is presently at work on a new movie. ROBERT CARY (co-author, co-lyricist) is the co-writer of the teleplay for GREASE: LIVE!, produced by Paramount and airing on the Fox Network in January of 2016. The telecast garnered record ratings and critical success, and has currently been seen by nearly 40 million people worldwide. Additional collaboration with partner Jonathan Tolins includes additional material written for the Tony-nominated 2014 Broadway revival of ON THE TOWN directed by John Rando. Robert co-authored the libretto for the stage adaptation of the film FLASHDANCE, which began touring the U.K. in July of 2008. FLASHDANCE opened in London's West End in 2010 with an additional production in Milan in December that year, followed by a three-year North American tour which opened in January of 2013 and numerous European productions, including open-ended runs in Stockholm and Paris. 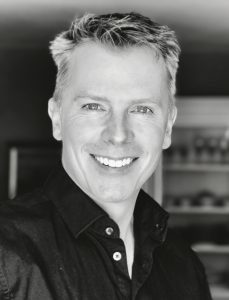 He is the lyricist and co-librettist of the musical PALM BEACH, produced by the La Jolla Playhouse and directed by Des McAnuff; Robert is also the co-author and lyricist of musical adaptations of THE THOMAS CROWN AFFAIR and HEARTBREAKERS, both commissioned by MGM On Stage. 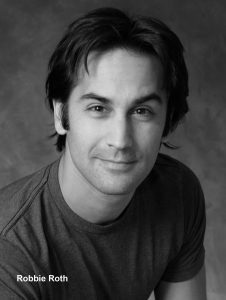 Robert's comedy INVENTING AVI AVIV, written with Ben Feldman, was produced Off-Broadway by the Abingdon Theater Company. He is an author of the book for SHARP DRESSED MAN, a new ZZ Top musical, as well as a musical about the life of Ed Sullivan for SOFA Entertainment, and is co-author of an upcoming Donna Summer musical directed by Des McAnuff. Robert is the director of the feature films IRA AND ABBY (Magnolia Pictures), SAVE ME (Sundance Film Festival, First Run Features), and ANYTHING BUT LOVE (Samuel Goldwyn), which he also co-wrote. Robert is a graduate of Yale College and lives in New York and Connecticut with Tolins and their children Selina and Henry. He is a member of the Writers Guild of America. ROBBIE ROTH's music has been heard on stage, screen and radio all around the world. His songs have made the Billboard charts in America and been featured on a number of television programs (including ABC’s Good Morning America and NBC’s Last Comic Standing). Robbie has also lent his production ear to a myriad of award-winning artists. Robbie has written music for feature films and documentaries, and his solo songwriting has been heard on recordings alongside Bob Dylan, Elvis Costello, Tom Waits and Johnny Cash. Robbie co-wrote and produced the debut album of Tony-nominated Broadway actor Gavin Creel, as well as his highly-acclaimed sophomore record, Quiet. Robbie has also written with and/or produced records for Ron Sexsmith, Vince Clarke (Depeche Mode), Marcus Hummon (Dixie Chicks) and numerous others. Robbie is the composer and co-lyricist of the stage adaptation of the film, Flashdance, which opened in North America in the summer of 2012. Most recently, Robbie has been hired as composer/lyricist for the stage adaptation of Drumline, a 2002 Fox feature film, and Barbie Live, a Mattel musical set to tour Aisa through 2014. Robbie is a client of the Paradigm Talent and Literary Agency.